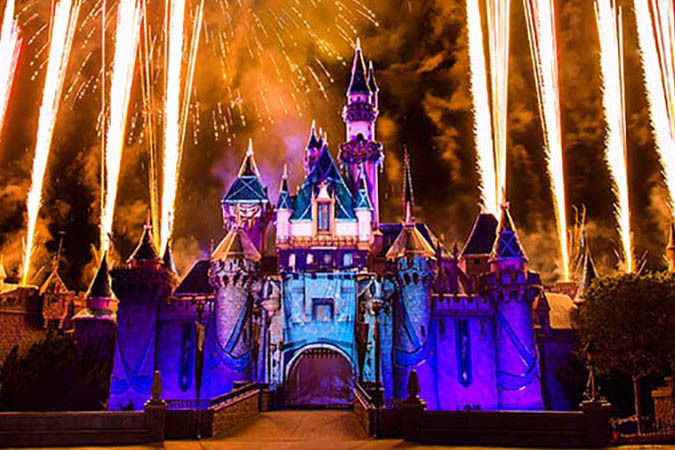 5-Day Disney Theme Park Base Ticket ... Save up to $52 vs. adult gate price! 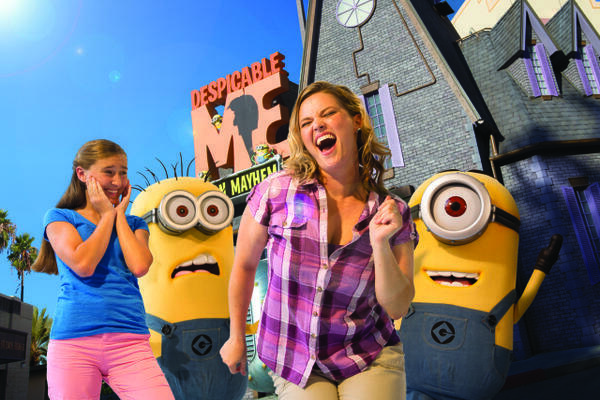 5-Day Disney Theme Park Ticket with Park Hopper Option ... Save up to $66 vs. adult gate price! 6-Day Disney Theme Park Base Ticket ... Save up to $57 vs. adult gate price! 6-Day Disney Theme Park Ticket with Park Hopper Option ... Save up to $77 vs. adult gate price! 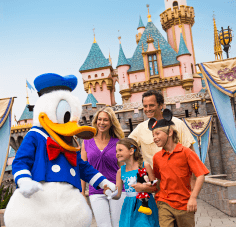 7-Day Disney Theme Park Ticket with Park Hopper Option ... Save up to $76 vs. adult gate price! 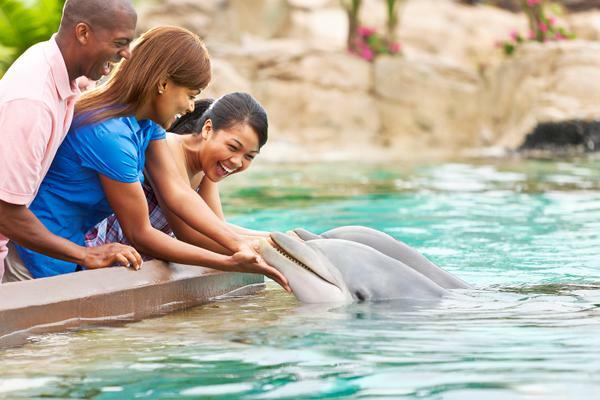 As long-time Disney World experts, ticket sellers and adventure-loving frogs, we help families plan their vacation by sharing key information. FastPass+ is one of those key pieces of information! We have been answering many questions about FastPass+ since its debut in 2014. This is a compilation of answers to customers' most frequently asked questions about FastPass+. To the unfamiliar, FastPass+ may seem overwhelming. This service simply allows guests to pre-book rides and entertainment so that they skip the regular lines. While pre-booking rides and entertainment — in some cases, up to 60 days in advance of your trip — sounds complicated, it doesn't have to be. Using FastPass+ is one of the best ways to experience the most in-demand rides with little to no wait! We are answering these Disney FastPass+ FAQs to make it as easy as possible. 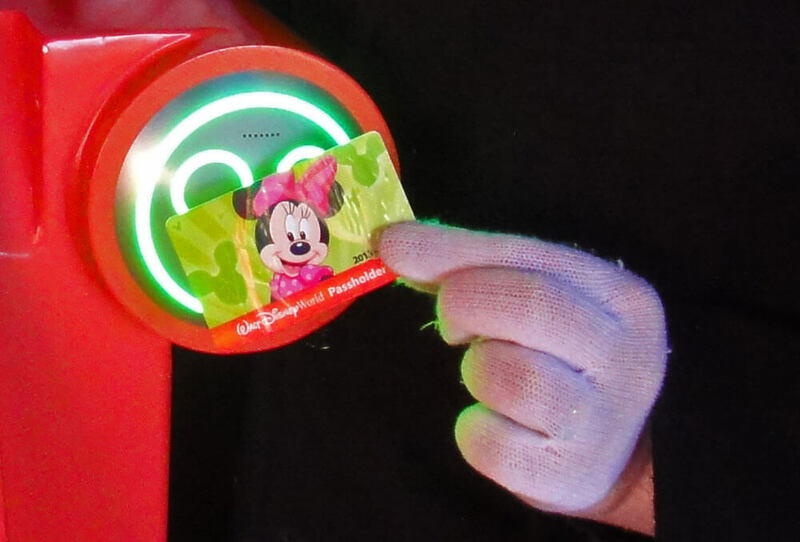 If you already know the basics, check out our FastPass+ tips! Either way, let's hop to it! Guests staying off-site can make reservations up to 30 days in advance of each day of their theme park visit. (Psst! You can now book your Orlando hotel with us at a discount!) You might remember the old paper FASTPASS system if you visited in the past. It's long gone. 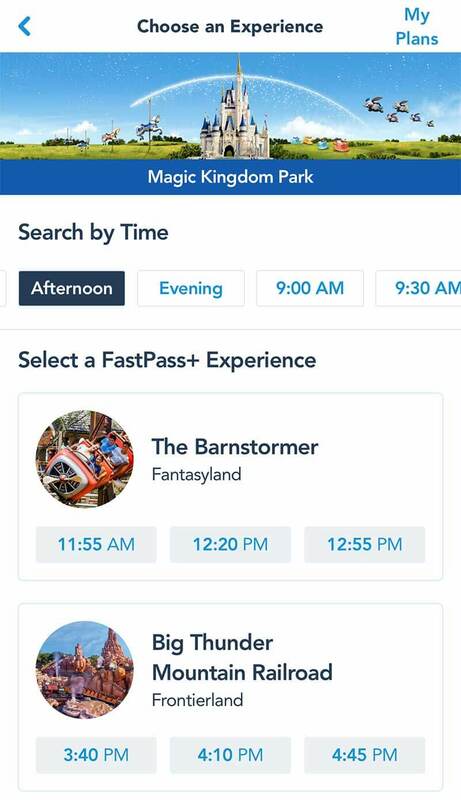 Now you book your FastPass+ selections on the My Disney Experience app or website, and your selections are tied to your tickets and/or MagicBands. Yes, it is free for everyone visiting the parks who has valid admission. MagicBands are rubber bracelets that contain an embedded RFID (radio frequency identification) chip and function similarly to regular RFID park tickets. They both offer touch-and-go functionality at the park entrances, at FastPass+ attraction queues and with PhotoPass photographers. The bracelets are more practical since you don't have to fumble in your pocket or backpack for tickets every time you enter a park or use FastPass+. Just make sure the Mickey head on the bracelet, which contains the RFID chip, touches the Mickey head RFID reader! The MagicBands offer additional (optional) functionality if you are a resort guest. They serve as your room key. You also can associate a credit card with the band so that you can touch to pay for purchases at the resort after you have entered your pin. Non-resort guests who purchase MagicBands cannot add credit card functionality to their bands. MagicBands offer additional functionality for all guests who wear them in the parks. First, your ride photos and video are often automagically associated with your My Disney Experience account, such as Seven Dwarfs Mine Train and Tower of Terror. For other attractions, such as Expedition Everest or Splash Mountain, you'll need to touch your MagicBand to the RFID readers at the ride exit's photo area to associate your photos with your account. Second, Disney offers personalization in queues and on rides for those wearing their bands. 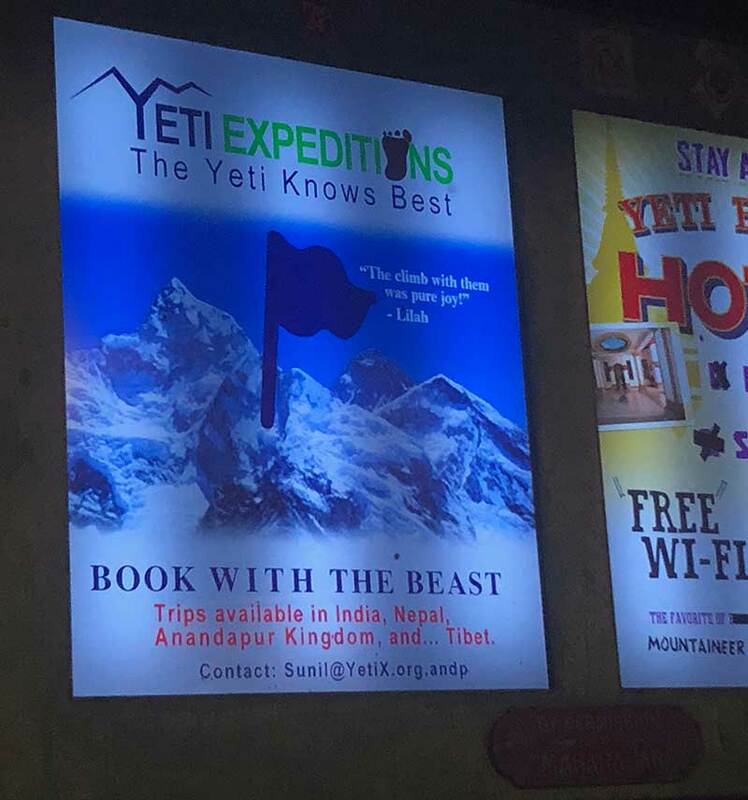 At Expedition Everest, for example, you might see your name on one of the Himalayan advertisements before you ride. 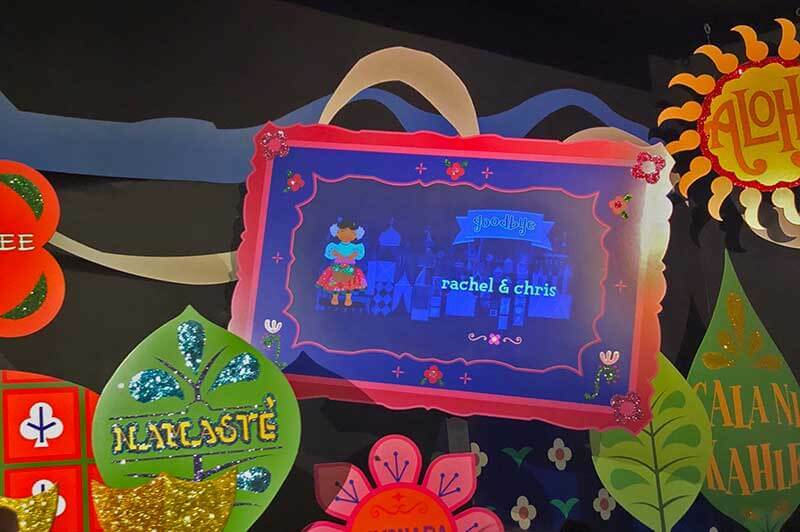 There is more personalization at it's a small world and Rock 'n' Roller Coaster. No, physical tickets offer the same functionality as MagicBands. 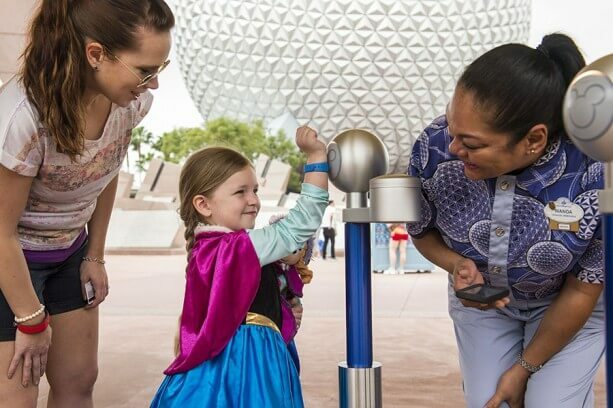 But you may find that MagicBands are more convenient for entering the parks and FastPass+ queues and having photos taken by PhotoPass photographers since you don't have to fumble in a backpack or pocket for tickets. You also get all of the benefits mentioned above! If you are staying at a Walt Disney World Resort hotel, all members of your party will be given MagicBands free of charge. Depending on how far in advance you book your resort stay, you will have the option of choosing the colors of your bands and having them shipped to you (not available in all countries). Your MagicBand serves as your room key and can be used to make purchases at the resort during your hotel stay. Guests using Disney's Magical Express transportation will also use them at check-in, so you shouldn't put them in your checked baggage if you are flying to Orlando. If you are not staying at a resort, you have the option of purchasing the bands starting at $14.99 + tax in the park or online. 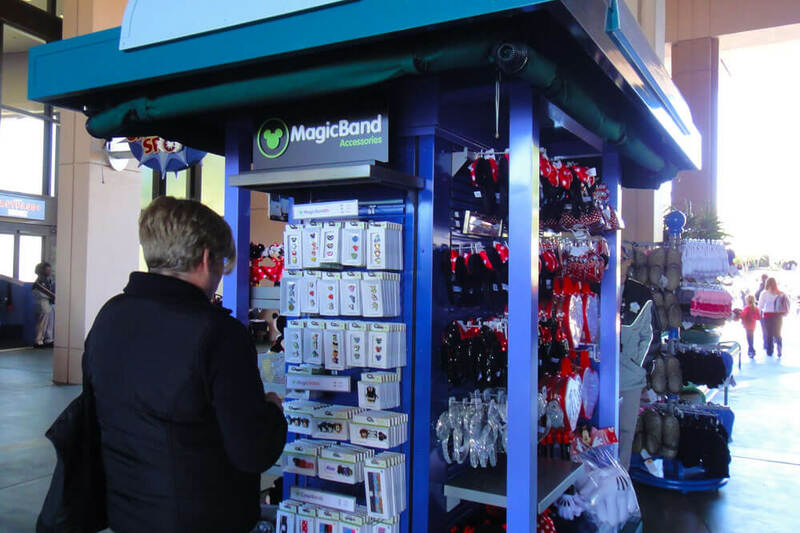 You no longer have to link your MagicBand in the park now, so you can purchase bands as gifts or to use later. How far in advance may I make a FastPass+ reservation? Disney has two windows of opportunity for guests to book FastPass+ reservations. Guests staying at a Disney resort may book FastPass+ tickets 60 days before their check-in date and book for the entire length of stay. Non-resort guests have a 30-day booking window. It really helps to have your park plans in place before that window hits, and you'll need to have already purchased tickets. You'll need to decide which day you will visit each park. It also helps to do a little research so you can book the most popular experiences and rides, or those most important to your family. Keep in mind that you may only reserve three FastPass+ attractions per day in advance. You can make additional FastPass+ reservations in the parks after you've used your first three (or the return times have passed). On the day your booking window opens, you'll be able to book FastPass+ reservations starting at 7 a.m. EST. 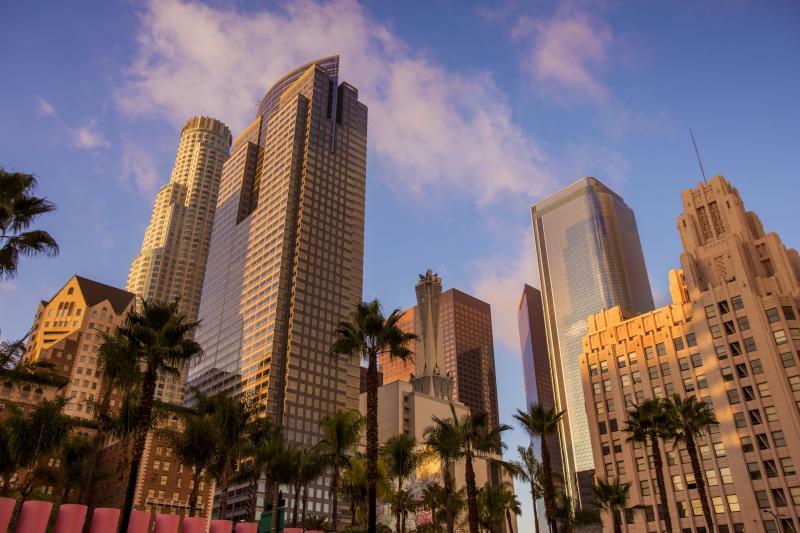 So, if you're on the West Coast and want to book right away, you'd need to be up and ready at 4 a.m. (Hint: Grab your coffee or caffeinated beverage of choice before your booking window opens!) It isn't toadally necessary to book right when your window opens unless your trip is during a very busy time (such as the holidays), you're not staying on-site and you want to secure reservations for a very in-demand FastPass+ attraction (such as Avatar Flight of Passage or Slinky Dog Dash). If you're staying at a Disney World hotel, you can make your FastPass+ selections from your first day of check-in for your entire length of stay (up to 14 days) with valid park admission. If your stay is longer than two weeks, then you can make FastPass+ reservations for up to 14 days. Note that the 30-day window does not offer this option. You must book each day. We definitely recommend staying at a Disney Resort during your visit to take advantage of that window! When you have your tickets, you will need to create an account on Disney World's My Disney Experience website in order to make FastPass+ reservations. 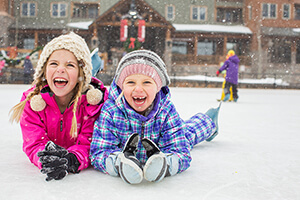 To make reservations for friends and family, you will need to add their name (such as for a child) or send an email invitation to connect through a Disney account. Everyone whom you wish to make FastPass+ reservations for must have valid tickets linked to their account. Once you and your party members' accounts are linked, you then need to link your tickets. While the process is fairly straightforward, we have found it is easier to use the app since you can actually scan your ticket number rather than having to key it in manually. (We recommend this process if you have older, non-RFID tickets.) For those of you who are close to your FastPass+ booking window, once your order has been processed, you can contact our customer service to obtain your ticket number to link your tickets in My Disney Experience. Once your tickets are linked, you will be walked through the process of making FastPass+ reservations. Once online, you can book your three daily reservations one at a time. You also get to see all of the available time slots within the morning, afternoon or evening. This is a big plus that makes it easier for guests to book separate reservations for their party members, like, for example, when Leap and Tad don't want to meet Elsa and Anna with Lily and I. If your family or group plan to make any of the same FastPass+ reservations, we recommend you make these first. Can I still make advance FastPass+ reservations if I plan to purchase a MagicBand later? Yes. If you decide to purchase a MagicBand later, you can still make FastPass+ reservations in advance and those selections will be stored with your My Disney Experience profile and linked with your ticket and MagicBand. Your tickets will continue to function even if you use a MagicBand. Guests can make three advance reservations for rides and experiences per day via the My Disney Experience website, the app or the in-park kiosks. Those three reservations must be made for use in one park only. Note that at Epcot, Disney's Hollywood Studios and Disney's Animal Kingdom, a tiered structure is in place for the most in-demand attractions. Guests can make only one selection from the Tier 1 attractions and entertainment and two selections from the Tier 2 list at those parks. You can make additional FastPass+ reservations after you've used your first three (or the return times have passed) in the park. 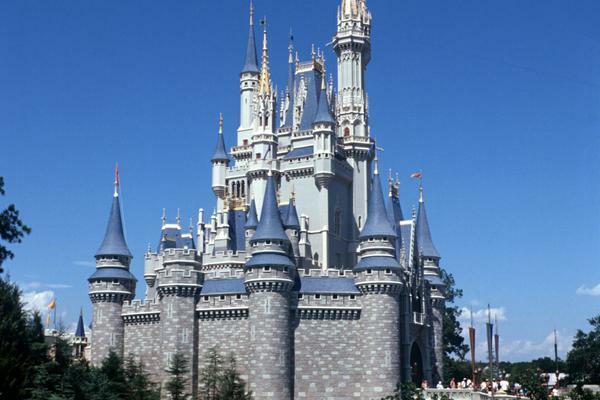 Magic Kingdom does not have a FastPass+ tiered system, but the most in-demand rides, such as Space Mountain and Seven Dwarfs Mine Train, book up quickly. How do I use FastPass+ in the park? When you're ready to use your FastPass+ reservation in the park, head to the attraction or entertainment experience during your allotted time. You will look for the FastPass+ queue at the attraction, and touch your ticket or MagicBand to the Mickey RFID reader for entry. You may be asked to scan your MagicBand or ticket a second time as you move further up the queue. Just three reservations per day? As mentioned above, after using your first three reservations in the park, you can obtain more. This can be at any park, and it can be at any attraction (even if you've already booked FastPass+ for Tier 1 attractions at Disney's Hollywood Studios, Epcot or Disney's Animal Kingdom). Once you have used that FastPass+ selection or the window has passed, you are free to make another selection. And so on, and so on. Booking additional FastPass+ reservations can be done using the My Disney Experience app. (Just make sure to update to the latest version of the app.) One important note is that you no longer need to physically be present in the park you wish to make reservations for. This is a big plus for park hoppers! So you could be in Epcot, but make your reservation for Magic Kingdom if you have park hoppers or are an annual passholder. You can also use the in-park kiosks to make reservations. If you do use a kiosk, know that not not everyone in the party must be present to add the FP+ selection as long as you are all connected using My Disney Experience. If you are late by a few minutes on your slotted time for an attraction, you should still be allowed to enter the attraction. If you are going to be more than a few minutes late, you should re-book the experience for a later time, although the cast member at the FastPass+ queue has the discretion to let you in. You can modify reservations using the website, app or in-park kiosks. Does everyone in our friends/family account need to complete all three FastPass+ reservations for the day before we can reserve a fourth? The FastPass+ reservations are tied to an individual ticket. If someone in your group only uses one FastPass+, that doesn't affect you from getting your fourth after your other three have been used. Which rides and attractions should I use FastPass+ for? This is a great question! Which one you choose depends on availability and individual family preferences. That said, on our FastPass+ Tips page, we outline our top three FastPass+ recommendations in each park. If you hop over to our park plans page, we outline even more priorities for each park. We hope these Disney FastPass+ FAQs have been hopful! If you still have questions, share them in comments below. 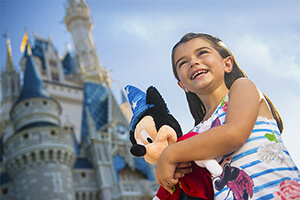 Just starting to plan your vacation and want to know more about Disney FastPass+? Hop over to our Disney FastPass+ Planning page, part of our Orlando Vacation Planning Timeline. My family is traveling to WDW and arriving June 15. We have decided to purchase annual passes - as this is the first of 3 trips within the next 9 months. Right now we have room only reservation at WDW. I currently don't have any passes...yet - as Disney reservations says we have to purchase the annual passes once we get there. My question is....when are we allowed to make fastpass reservations? Are we out of luck - until we get our AP's at WDW? You should be able to either purchase your Annual Passes online, or call Guest Services to purchase/upgrade. You'll then see your Annual Pass magically appear in My Disney Experience, allowing you to book your FastPasses in advance (we actually did this ourselves last year!) You'll also then be able to customize your MagicBands, which will arrive with your Passholder spacers. 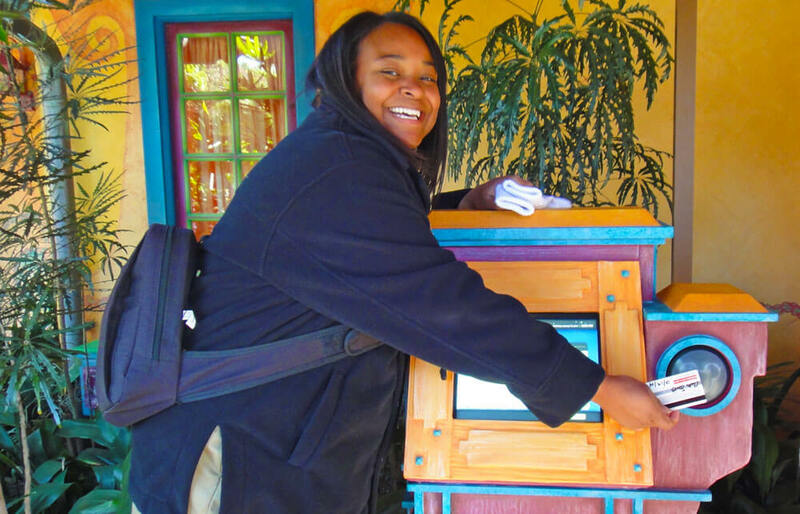 What you WILL need to do on-site is show your ID/exchange certificate at a ticket booth or Guest Services prior to entering the parks (there's a location at Disney Springs, too). I'd recommend either logging into My Disney Experience and purchasing your passes here, or giving Guest Services another ring at (407) 939-7277. Hi, I just got my disney 5 day base tickets and am staying offsite Disney property. I am wondering if I can possibly preview fast pass selections on the disney website or app prior to my 30 day mark or if that is not possible? I recall last year being able to preview fast pass selections however I was not able to make any actual reservations until the 30 day mark. The new My Disney Experience app requires you to pick a date for your reservation, and if that date is not within your booking window, it unfortunately won't show you a preview of the available FastPasses. Hi, my family won a trip to Disney and I was wondering can I still set up Fastpass without the park tickets? We won't get them till we are in Orlando. Park tickets are required to book FastPass+ reservations (you'll need the code associated with the ticket to link it to My Disney Express). Say I go in on my 30 days out mark and reserve my fastpasses. Am I allowed to edit/change/modify choices from that point forward? Or am I only allowed to modify once I start using them at the park? Basically, are the choices I pick 30 days out set in stone until my first day in the park? Thank you! Not at all - you're able to go in and modify any time once you've reserved your FastPasses. Nothing is set in stone and you can adjust as you need to! We just recommend hopping on those reservations as soon as you're able as some of the hot-ticket items do go quickly, and there's limited availability. Hi! I won 5 1 day parkhoppers (yay me!) for WDW. My question is this. We are planning on doing two days at Disney in October. One of the days will be for Hollywood Studios only and the other day will be for Animal Kingdom/Epcot. We’re only doing Mickeys Halloween party at Magic Kingdom (separate admission, I know) Since I already have 5 tickets and we are a family of 4, I will need to purchase 3 more tickets for our two regular Disney days. Are you able to tell me if by linking through my Disney experience the tickets I won along with the tickets I need to purchase how I can make sure that the correct ticket is used at park entrance? For instance how do I keep the park hopper tickets from being used if I go Hollywood studios first? Should I reserve my fast passes for the tickets I won and then unlink the tickets from my Disney experience to make sure the correct ticket is used? We’re staying at Animal Kingdom kidani so I’ll be able to reserve fast passes 60 before. Thanks for any insight you can offer. You definitely should link all of the tickets so you can make advance FastPass+ reservations for all of your park days. The only way to insure the right tickets get used is by going to guest services outside of the park and getting them to prioritize the first ticket you want to use. You should be able to do this at Disney Springs too, if it's easier to get to (you could even do it the night before). I have also been able to get Disney to prioritize tickets for me over the phone, but not always. It's probably worth a shot! Hi! I've booked a split stay with 1 night at a value Disney resort, and then 6 at a nicer Disney resort. I've heard we may get multiple magic bands. Is there a way to link everything to one band? If not, can we choose which bands have the fastpasses linked to them? Yes, you have a couple of options. If you log into My Disney Experience, hover over "My Disney Experience" and select "MagicBands." There, you'll see a screen that lists the MagicBands you have coming. If you click "Get Started," it will give you the option to decline MagicBands (which you can do for your second stay). Alternatively, just below this, you should see the MagicBands associated with each member of your party. There, you can select which you'd like to be active, and which should remain inactive so that you just have to worry about one MagicBand for your vacation. Yes, as long as you're on Disney property, the 60 day window for FastPasses is included :) If you have any issues linking your room reservation to My Disney Experience, the number to call is (407) 939-4357. Did they recently change the rule for Disney Springs hotels being able to get the 60 day fast pass benefit? I have a reservation there in May and it is linked on the MyDisneyExperience App but it still will only let me book FPs 30 days out :(. So disappointing as this is the main reason I booked that hotel. No, the benefit is good through Dec. 31, 2019, at least. Could you double check that your hotel is one of the Disney Springs hotels offering the 60-day booking? If it is, could you also verify that your hotel reservation and your tickets are linked in My Disney Experience. If they are, then I would call Disney directly. It looks like select hotels should still have the 60-day FastPass benefit (it was extended through the end of 2019). If your hotel is listed here, I'd suggest calling the FastPass help line - it may just be a glitch. That number is (407) 939-4357. Let us know how it goes! Does my 2 year old need to FP? Since he isn’t old enough I was wondering how it works for him? Nope, no FastPass needed, since he's only 2 :) He can accompany you in the FastPass queue. Hiya, hoping somebody can help me here. We are staying at Hilton Doubletree suites on 5th August for 12 nights, at Disney Springs. We have a 14 day tickets booked. Do we still get to access fastpass+ reservations from 60 days prior? Read many things about loop holes been closed, and I'm very confused. As our park tickets are longer than our hotel stay. As you noted, it looks like the Doubletree offers the same benefits as booking at a Disney Resort, which means you'll have access to that 60-day window (yay!) However, you'll only be able to book FastPasses for the length of your hotel stay 60 days in advance; anything not within the timeframe of your hotel stay can be booked 30-days out, one day at a time. tried to link them up to do Fast Passes but the wdw website would not accept them and gave me an error message. Any ideas why they wouldnt link ? We are not sure without having more details. Our FAQs include details on linking tickets if you purchased through us. You may also contact our customer service at 1-800-846-1302. How many "days" of fastpasses can you have at once? I ask because we are considering two two week stays at Disney this summer. I know you can have 14 per stay, but I wondered if we would be able to book the second 14 while still having the initial 14 since both stays would fall within the same 60 day window. You're correct; you can only have 14 days of FastPasses booked in advance within your 60 day window when you stay on-site. These are rolling, though, so as you arrive and use your FastPasses from Day 1, you'll be able to tack on day 15, and so forth. I think this would work, but just keep in mind, that you'll only be able to book as long as you have enough days on your ticket i.e. if you have a two-day ticket, you won't be able to book something on Monday, Tuesday and Wednesday. Hi, we are coming from the UK for a month so want to purchase annual passes. We can see you can only book 7 days worth of fast passes in 30 days. Once you have used your 7 days are you no longer able to book any more fast passes in the 30 day window? Thanks! Annual Passholders may secure up to 3 experiences per day up to 30 days in advance if they are not staying on Disney property during your trip. Your pass allows you to plan 7 days of FastPass+ selections within any 30-day period for one park per day. You can secure up to 3 experiences per day up to 30 days in advance—starting at 7:00 AM Eastern Time. Are you staying on Disney property? If so, your options are a little different. Passholders with reservations at a Disney Resort hotel can start making FastPass+ selections up to 60 days prior to check-in for the entire length of your stay. Thanks Leap. We are staying off site. So once we have used all our 7 fast pass days within the 30 day window (with an annual pass)... Does that mean we don’t get anymore fast passes after we have used up the 7 day allocation? You are so welcome - glad to be of help! This one can get a little confusing. A Passholder staying off-site can only have 7 days of FastPass reservations booked at one time within a 30 day period, but you can think of the 7-days as just "hold" time, if that makes sense -- so you can only hold/reserve 7 days worth of FastPass reservations at one time within a 30-day window. Once you have gone on your first day and used that day's FastPasses, you can then make FastPass reservations for your eighth day, and so on, so long as only with 7 days' worth of FastPasses are reserved at any given time. Hoppy to help, Jack! Have a fantastic trip! Is there a number of fast passes we’re aloud a month? I live in FL and I’m going different times in a about a month with friends and family. I have my 3 fast passes for the different days but it’s saying I’ve reached my maximum number of fast passes now? Do you have an annual pass, or are you going with separate tickets? With an annual pass you can make FastPass+ reservations for seven days in any 30-day period. Hi! We are buying our Florida resident annual passes once we arrive in wdw at the end of March. We have hotel reservations for the cabins on the property. Will we have to wait until we arrive and purchase our annual passes to book fast passes? Unfortunately, you will not be able to make FastPass+ reservations until you have purchased your annual pass. If I buy Disneyland tickets from you, will I still be able to link them to the Disneyland app? I did not realize that I needed to book FastPass+ before my trip (as I usually go to Disneyland and you do it when you get there). Now all of the rides have no FastPasses available. Is there anything I can do about this!? We're sorry to hear it! The encouraging news is that FastPasses for a fair amount of rides do become available (froggies drop them, don't attend, etc.). We highly recommend that you keep checking (even throughout the day as you're at the park!) to see if a FastPass you're after doesn't pop up for you. Lets say I make my FP reservations 60 days in advance for my entire trip since I am at a Disney Resort. Now, lets say I am planning to go with other family who are opting to stay at a condo off property (so only 30 days advance for them). Assuming we are "family and friends" in the MDExperience app, can I just modify to add them to my existing group once they are in their 30 day window (day by day)? You are absolutely correct -- you can book your own FASTPASS Reservations 60 days in advance since you'll be on property, and you can begin booking for others staying off property at the 30 day mark. Should I space fast pass rides out or can I only use the kiosk after all three are used up? You'll need to use your initial three first, then can add on one at a time. If I can't use my fast pass on an attraction can I let another person in my family is it. But how do I use Fastpass? I can’t find instructions anywhere. I signed up for an account. I linked it to my tickets. Now what do I do? I want to book an event on my Fastpass Acct but you never say how I can do it. What website do I use. What selection do I choose to allow me to set up my 3 choices? I can’t find this needed information anywhere. We're glad to hear that you were able to link your tickets to your account! 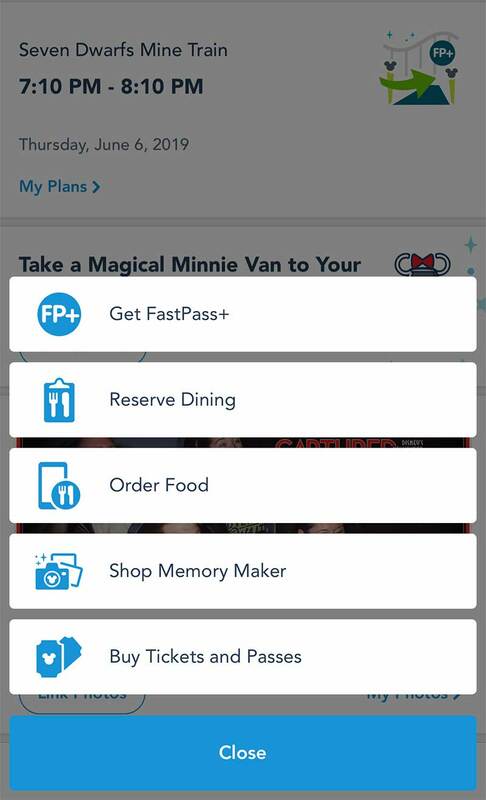 If you are on the mobile app, when you log in, under "My Plans" you'll see an icon that says "Get FastPass+." If you click that, you'll be prompted to enter your dates and choose your FastPasses. If you are on desktop at https://disneyworld.disney.go.com/, if you hover over "My Disney Experience" in the right hand corner of the navigation, you'll see "Get FastPass+" located about halfway down the list. Once you click, you'll then be taken to continue with your reservations. We hope this helps! A cast member at (407) 939-4357 can also help with any technical issues you may encounter when using the app. Havent bought my Disney tickets yet seeing i am not leaving for 29 days i am not staying on Disney property but would like to buy a magic band is there a way to do it or will i have to use a card ? You can toadally use just your ticket, but you could also purchase a MagicBand on the Disney store site. If we book fast pass and then decide not to visit park that day does it affect ticket in any way when we use another day? No, it does not affect your ticket in any way. Hi we are travelling in Dec 19 for 12 nights. If we don't book tickets direct through Disney but do stay in a Disney hotel will we still have access to the 60 days fastpass for the 3 nights we stay on Disney property? Will our other days show as 30 day fastpass? If we booked the 7 day (14 day) ticket through Disney then stayed at a Disney hotel forpart of the stay would we be given 60 days fastpass access for the whole of the ticket do you think or just the nights in the Disney hotel? Thanks so much! You will have the 60 day booking window whether you book your Disney hotel through Disney directly or us for those three nights. You would then effectively "inherit" the 60-day booking window for the off-site hotel. Hi There - I'm hoping to stay at both the Animal Kingdom Lodge (March 11 to March 17) and the Contemporary (March 17 to March 19) during my trip, I think I need to make two separate reservations for this - does this mean that I will have to log in 60 days before each reservation to book my Fastpass or will I be able to book them all with the first reservation? You can book the hotels together or separately. You will be able to make FastPass reservations at 60 days for your entire length of stay. We're looking at the benefits of staying in a Disney hotel versus off site. Someone has told us that if you stay in a disney hotel for the first few days of the holiday, this allows you to book the 60 day in advance fast pass for the whole of your stay. So for example; if we are going for 10 days and stay at a disney hotel for only the first 3 nights, then we will have access to the 60 day window for the entirety of our trip. The only difference being that for days 4,5,6 etc we would have to book 60 days in advance of each of those days, if that makes sense, whereas for days 1-3 we could book 60days in advance of day 1. Is this correct????? As of now, that is correct. If you book a split stay and start at a Walt Disney World hotel, you would "inherit" the 60 day booking window for FastPass+ reservations for the rest of your stay (up to 10 days) and should be able to book the entire stay at the 60-day mark. Hope this helps! As of now, that is correct. If you book a split stay and start at a Walt Disney World hotel, you would "inherit" the 60 day booking window for FastPass+ reservations for the rest of your stay (up to 10 days). Hope this helps! I'm staying at a Disney Resort for two nights in April and only going to Hollywood Studios and Animal Kingdom (we did MK last year). When the 60 day Fast Pass window opens for me, can I book the second day first? Trying to get an FP for Avatar Flight of Passage. And if I select an afternoon time for that ride (if that is what is available), can I then select morning times for other rides? I guess what I am asking is if I can select our last ride first and then book the others after? Thank you! When staying at a Disney World Resort hotel, you can book your FastPass+ reservations up to 60 days in advance for the whole duration of your stay -- so booking for the second day first will be no problem! Likewise, you can book your FastPass+ reservations in any order you'd like, so you can toadally book an afternoon FastPass+ first, then go back and fill in your day with additional FastPasses at the same park. I am staying on Disney property Friday and Saturday night and may stay with friends Wednesday and Thursday. If I buy park tickets Thursday - Saturday do I get that 60 Day Fast Pass access to my Thursday park tickets or just Friday and Saturday? You will need to make sure you are linked to your friends who are staying earlier as friends and family in My Disney Experience, and it would be ideal if they add you as a friend. You would effectively "inherit" their hotel reservation. We are going to a animal Kingdom only for one day. Probably buying tickets the day before as it is completely weather based. I have a magic band, but no one else does (and don’t care to have one). Can I link all 5 tickets to my magic band or will they all have to show their tickets at the FastPass ride? Thank you! While all of the accounts with each of their respective tickets can be linked together, they would need to be tapped separately at the ride queue entrances. Great info here, really appreciate for the great stuff. I wanted to know the real difference between crowd key 7 v/s 8 out of 10. Having dilemma to chose between Seaworld v/s 1 day 2 universal park to park visit on 12/21. As of now thinking to go for Seaworld on 12/21 and Universal studio parks on 12/23. Any suggestion here? Thanks for your help. Hi! Thanks for all the helpful info! I did have one question. If we only book one advanced fast pass at a park, would we be able to book additional ones at a different park once that one is used? Similarily, if we only booked one fast pass in advance and it was a tier 1, would we be able to book another tier one once it was used? Thanks! Let me answer your questions one at a time to avoid confusion! First, "If we only book one advanced fast pass at a park, would we be able to book additional ones at a different park once that one is used?" YES, but only after it has been used. Next, "If we only booked one fast pass in advance and it was a tier 1, would we be able to book another tier one once it was used?" No. You must use both of your tier two FP+ as well before booking another tier 1. These are excellent questions. Hope this helps! So, would it be beneficial to book two additional tier 2 FP even if you don’t plan on using them if you wanted to try and get another tier 1? I have three fast passes booked for Epcot in the morning but I think we are going to drop one of them to spend more time just looking around. In the afternoon we are heading over to Hollywood Studios. When will I be able to make my fast pass selection for that park? Thanks. You can not book FastPasses+ at two different parks in advance, BUT you will be able to book your Hollywood Studios FastPass+ (one at a time) once you've USED both of your Epcot ones. We are going to Animal Kingdom on January 3, 2019. I’ve been trying to practice getting a fast pass through the app so I’m ready. At 7am Eastern there are no passes available for Avatar Flight of Passage. This has been the case for at least the last 2 weeks. I’m concerned that when the day I need opens up that there will still be no fast passes available. If I can’t get the passes does this mean we won’t be able to get on the ride? Or does it mean that we will have a 3-5 hour wait and will likely miss the rest of the park waiting in line for this attraction? Oh my goodness, don't worry! First of all, KEEP checking! FastPass+ opportunities will pop up at the most random times ... even in days leading up to your trip. There's still hope! *IF* you aren't able to hop on a FastPass+, we recommend waiting until almost park close to get in line for a minimal wait. I'm visiting Disney World next Spring. My first day in a Disney Park will be 26 April. I'm getting confused about what date I will be able to book fast passes for day 1. I know it is 30 days in advance but when i've looked on my disney experience at the moment you are able to book 31 days in advance. Can anybody explain please? Would it be 26th March or 27th March? You should be able to book on March 26, 2019. Hope this helps! I will be going to Disney with multiple families. I sent invitations to link our accounts, but once they've accepted, I only see that one person - the rest of their family doesn't come through. How do I book fast passes for everyone on their account? You must link with each person individually. Connecting with one person does not automatically connect you to their family and friends as well. I have purchased a two day park hopper ticket and am staying off site, therefore am about to book Fast Pass 30 days out. Can you advise if we can book 3 FastPasses on the first day for Magic Kingdom 30 days out, and then a further 3 FastPasses for Animal Kingdom the next day also 30 days out. That is correct! You can book 3 FastPass+ selections per day at the park of your choice, 30 days in advance. I downloaded my Disney experience APP in my phone and I put my hooper ticket in it, but my ticket has a limitation for reserving fast pass just 7 days before. But, I had been trying to reserve but it isn’t possible. Do you know how can I reserve the fast past in this case? Once your ticket is linked in the MyDisneyExperience app, you should be able to make FastPass+ selections 60 days in advance if you are staying on-site at a Disney hotel, or 30 days in advance if staying off-site. Let us know if you're having problems beyond this! We are 2 families staying at Disney property that has 60 booking window for Fastpass. Family #1 arrives 2 days before Family #2. Can family #1 make fastpass reservations for family #2 when family #1's booking window opens? We misspoke on the original answer. As of now, if all parties are linked together as friends and family in My Disney Experience, family #2 should "inherit" the check-in date of family #1. We suggest one person from family #1 book the FastPasses for all just to be sure. Hi! If we’re have a five-day ticket but are visiting the area for seven days, can we make FastPass reservations for all seven days (not knowing which two days we’ll be taking a break)? Thanks in advance, ribbit! If you are staying on-site at a Disney Resort Hotel, you'll be able to make all FastPass+ reservations at once, 60 days in advance. If not, they'll open on a day-by-day basis, 30 days in advance. If you have a five-day ticket, you would be able to make reservations for five days. If we stay on site for two days but then have to stay off site for the last three days, and we bought a five day park pass, Will we be able to fast pass all five days at the 60 day mark or only the first two days of our trip? Hmmmm - we haven't experienced this before. Can any members of the Frog Pond chime in? We are in the same situation. Any comments would be greatly appreciated. I'm looking for the same info. Does anyone know if I stay two days on property, but have a 5 day ticket, if I can book all 5 of my park days 60 days in advance? Yes, that is correct! You would have access 60 days in advance of your date of check-in at the Disney hotel! How do I link the tickets I just purchased from you to our Disney experience app? I do not see any ticket #'s? You may be able to find the answer in our FAQ - it just depends on your ticket type. Otherwise, reach out to our customer service team at 1 (800) 846-1302. It’s my first time visiting Disney as an adult and with my children. I am new to thr FastPass+ process. All our tickets and hotel reservations are linked but I’m beginning to worry that I’ve made a mistake. The booking window for Disney hotel is 60 days, but when I log in to see the future dates that have become available,I’m still getting only the 30 day window from the day I check. 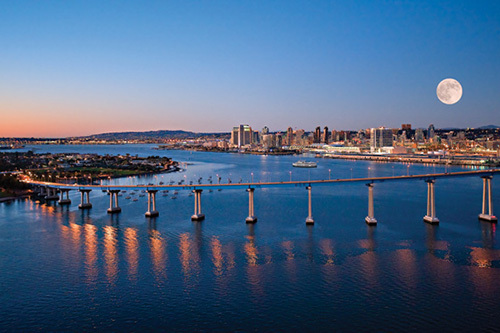 Thursday will be 60 days from our check in (Dec 17). Will the 60 day window magically appear at 7am on Thursday? Or should it be visible from now ? The 60-day window WILL magically appear on Thursday, don't worry! 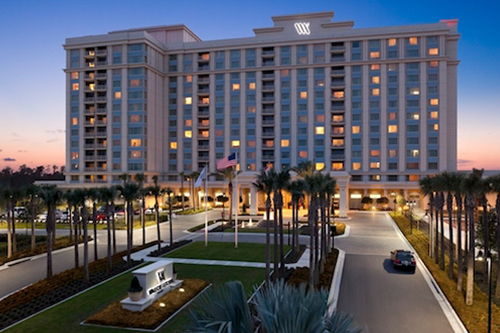 As long as you are staying on-site at a Disney World Resort hotel, you're good to go. I am taking my kids to Disney in January and staying on property, so we have a 60 day fp window. However, a friend who lives in Orlando and has an annual pass is spending the day with us at MK. So she has a 30 day window. If she's linked to us on MDE and I am the one making the fp reservations for our entire group, will it let me make them for her at the 60 day window with the rest of us or are we all out of luck and have to wait til the 30 day to be able to get the same fastpasses? We suggest you make FastPass+ selections for your family at the 60-day window, and add your local friend at the 30-day window. You will not be able to include her in your plans at the 60-day mark since she is not staying on site. If you click on your FastPass+, you’ll see an option to “Add Guests.” The only catch is that it depends on availability, which becomes less likely the closer you get to your trip. Try that FIRST. If no availability appears, try booking your additional FastPass+ selections separately, but looking for times that match up. (We hope that makes sense!) Sometimes availability will be different if you take this approach. Even if the times don’t match up perfectly (maybe you have a 9:50 – 10:50 a.m., and all that is available is 10-11 a.m.) it’s still better than not having them together at all. Be sure to try multiple times and refresh the page. We truly hope this helps, as we know how critical FastPasses+ are to an enjoyable trip. Let us know if you have any other questions! Hi! We are from Arengentina and will be visiting Orlando next year and plan to purchase 4 day tickets for us all (4 persons). We aren't staying at a Disney hotel so we don't have Bands, and wanted to get E-Tickets by email. What exactly is the process to enter the park? I can print the E-Ticket information if needed, but I read something about requiring a ticket exchange that takes some time (few days?). On some other website I read that taking the E-Tickets to Guest Relations in the park gate is all I need to do and they will give us the proper park tickets to enter. Is that right? Thanks in advance! When purchasing through Undercover Tourist, Disney E-tickets may take up to 24 hours to be emailed to you. Add this E-Ticket to your MagicBand and go straight to the gate and onto the rides. (MagicBand not included with this purchase.) If you do not have a MagicBand, you must exchange this E-Ticket at a will call location for a RF-enabled ticket before admission. You may link this E-Ticket to My Disney Experience for FastPass+ reservations before will call exchange. I'm not planning on having a band, and I don't know what is a "will call location", where is that located and how easy (and time will take) to exchange the E-Tickets to RFID enabled tickets. Can you please elaborate on that? I received a free 2 day park hopper ticket with my IATA card as I am a travel agent and I will be going to Disney with 3 other adults. I linked my ticket to my Disney experience app right away and booked the 3 other 2 day park hopper tickets on Expedia and added my other group members to the app. With Expedia tickets you get a voucher number but not an actual Disney confirmation number so you can't link to tickets on the app until you have these numbers. I called Disney for the numbers and they said the new policy is Expedia now provides these numbers. I called Expedia and they said within 7 business days I will receive another email with the actual Disney confirmation numbers. I purchased the tickets on Sept 23rd and have yet to get the email, even after 3 emails to Expedia requested them. When my 30 day window opened to book the fast passes I went on the app and booked the ones I could on my own ticket. My question is, once I get the other confirmation numbers and link them to the other guests on the app, can I link the fast passes I have already booked on mine with the other 3 tickets on the account? Or will I have to cancel mine and start over? Verrrrry frustrated with Expedia! If I have to cancel and start over I know nothing will be available any longer as my first Disney day is on Oct 27 and it's now the 11th. You will NOT have to cancel your FastPass+ selections in order to book them with the rest of your party. If you click on your FastPass+, you'll see an option to "Add Guests." The only catch is that it depends on availability, which becomes less likely the closer you get to your trip. Try that FIRST. If no availability appears, try booking your additional FastPass+ selections separately, but looking for times that match up. (We hope that makes sense!) Sometimes availability will be different if you take this approach. Even if the times don't match up perfectly (maybe you have a 9:50 - 10:50 a.m., and all that is available is 10-11 a.m.) it's still better than not having them together at all. Be sure to try multiple times and refresh the page. You CAN overlap them, but you will receive a warning message notifying you that your plans may affect one another. Hi - I am traveling for the first time with multiple families (our Mother is taking my family and my sister's family for Christmas) and myself and my mother have accounts. We have the accounts linked and can see each others dining reservation for Christmas week. My question is can both accounts select fast passes for everyone or at least for themselves even if the reservation / park tickets were originally purchased by one account (my mothers)? Yes! As long as you are linked in MyDisneyExperience, any of you can make reservations or FP+ selections for part or all of the group.